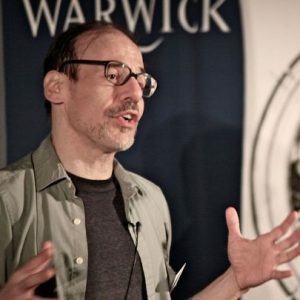 Steve Fuller is AAuguste Comte Professor of Social Epistemology in the Department of Sociology at the University of Warwick, UK. Originally trained in history and philosophy of science, Fuller is best known for his foundational work in the field of ‘social epistemology’, which is the name of a quarterly journal that he founded in 1987 as well as the first of his more than twenty books. From 2011 to 2014 he published a trilogy relating to the idea of a ‘post-’ or ‘trans-‘ human future, all published with Palgrave Macmillan under the rubric of ‘Humanity 2.0’. His most recent books are Knowledge: The Philosophical Quest in History (Routledge 2015), The Academic Caesar (Sage 2016), and Post-Truth: Knowledge as a Power Game (Anthem 2018). His works have been translated into over twenty languages. He was awarded a D.Litt. by the University of Warwick in 2007 for sustained lifelong contributions to scholarship. He is also a Fellow of the Royal Society of Arts, the UK Academy of Social Sciences, and the European Academy of Sciences and Arts.